One of the many veggies I enjoy much. Preheat oven to 400°F. Rinse cauliflower; cut into quarters. Cut off and discard leaves and cores; cut quarters into 1/4- to 1/2-inch-thick slices or wedges. 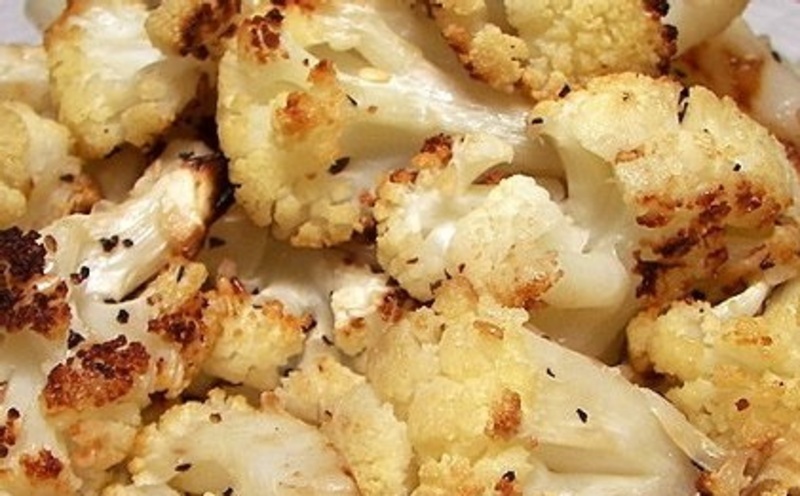 In a large bowl or resealable plastic bag, mix together cauliflower slices, olive oil, salt, and pepper. Spread in a single layer in a non-stick baking dish, or aluminum foil lined rimmed baking sheet. 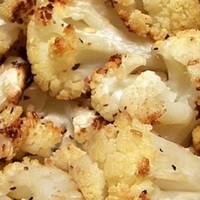 Bake prepared cauliflower approximately 20 to 25 minutes, turning every 10 minutes, or until cauliflower is browned or caramelized on edges and tender. I made some just like you do here, and it was delicious! My new favourite vegetable preparation! I love roasting my veggies! They're best when you keep it simple, like you have here.